This is a really yummy, easy and unique side dish! It is one of those things you should serve for company because they’ll think you worked really hard to make it and you’ll definitely impress them. It will just be our little secret that it is so simple!! Don’t have a grill? 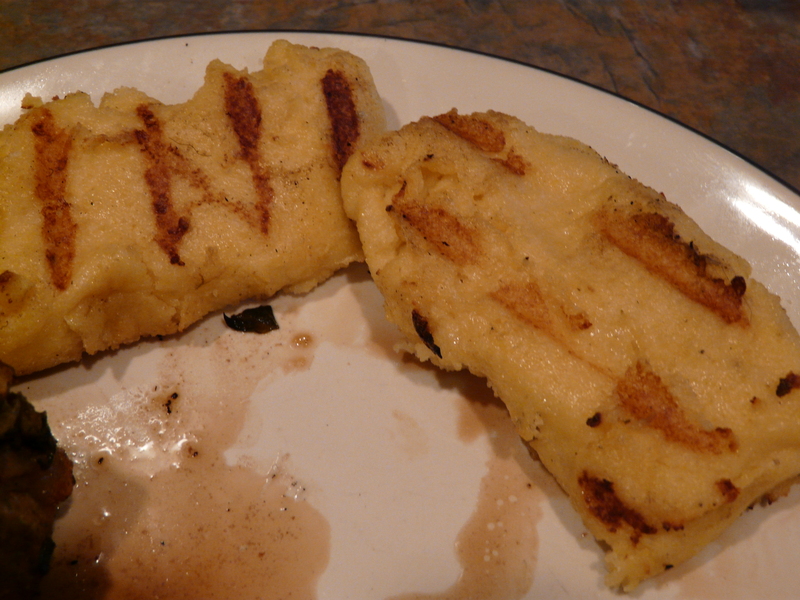 The polenta can be pan fried as well (but I prefer the grilled version 😉 !) You can also try switching it up with different cheeses. 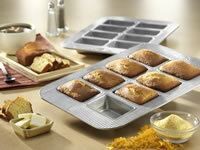 Also, I’d like to mention that I had recently purchased this mini loaf pan made by USA Pans at Bed Bath & Beyond. I wanted to make mini pound cakes and typically I buy Wilton pans, but they didn’t have the one I needed so I came across this one. It was a little on the pricey side and that shiney silver made me a little skeptical that it actually was good quality and non-stick. However, I really didn’t have a choice because I needed the pound cakes for that same evening. I was pleasantly surprised by how good this pan is. It is really durable and I have had no problems in regards to sticking…everything pops out with no problem (this may be one of the best non-stick pans I’ve ever used). Plus, it feels good to actually purchase something that is made in the U.S.A.! In a medium saucepan bring the milk and chicken stock to a boil. Reduce heat and add the polenta, pouring in a steady stream while whisking. Whisk continuously until thickened about 2-3 minutes. Remove from heat and stir in the salt, pepper, butter and cheese. 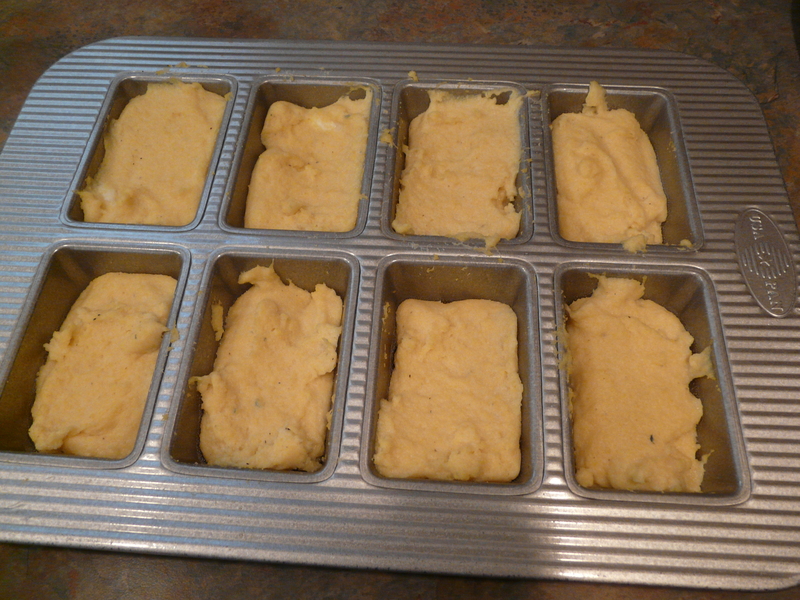 Pour hot polenta into cake pan and allow to cool. Place in refrigerator for at least 2 hours (can be made up to one day in advance). 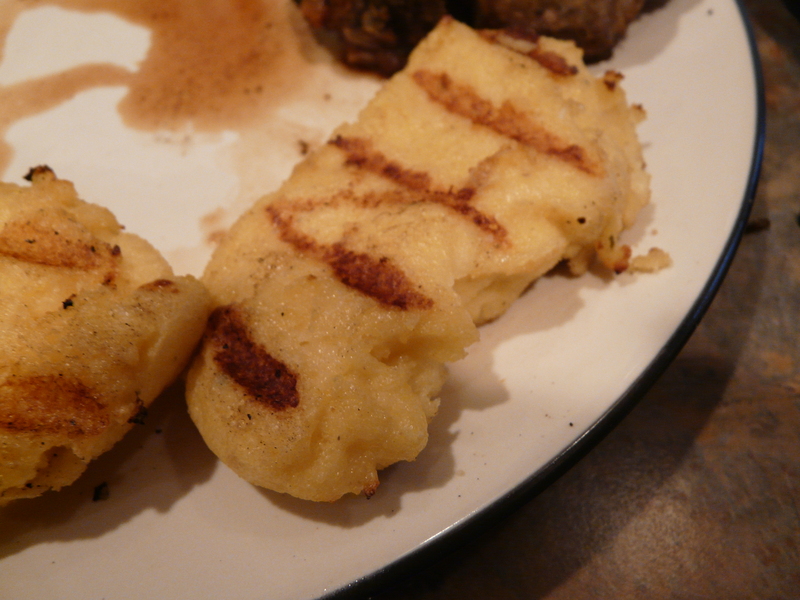 When ready to grill remove polenta from cake pan, if using a round pan cut into 8 slices. Brush each piece of polenta lighty with olive oil and place on a preheated grill for about 3 minutes per side until heated through. Yes it is so tasty!! !